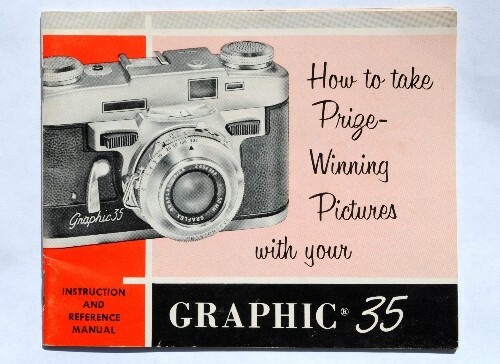 Here is a very nice original instruction manual for Graphic 35 Camera. The physical condition of the book is used, but excellently bound and has not been written in. There are three bends on back cover, but otherwise in great condition. There are a total of 31 pages. The actual manual is pictured here so you can see exactly what you will get.